I spend a lot of time here at PF. Maybe too much? I have two broken feet, can walk but with some pain and difficulty and my knees are also beginning to fail. I do as little stressful activity as I can avoid...and on top of that, being retired for about 10 years, I am lazy as hell! So this is a fun and enlightening site to spend time. I learn things often, visit with my many friends and in general have a great time here. It is clean fun, healthy and entertaining and helps keep the mind...what's left of it...sharp and active. That's me. Having been here for years, I see all kinds of posters.....many have also been here forever, some come and go and some have been instrumental in keeping PF the great site it is. So, thinking often of the various "kinds" of posters.....I have come up with a list.....maybe you can add more, and feel free to do so..this is an open thread for your comments or observations, all intended to further our pleasure here. The Serious Shooter: Takes his/her work very seriously. Sometimes it seems that photography is his/her most important part of life, and not much else matters. Not much interested in conversation or dialogue of any type, just in excelling in what they shoot. The Technocrat: Very knowledgeable in the technical aspect of photography. Knows things and words many of us can't even spell or pronounce, much less render a meaning. Often posts few photos but is an expert on the technical aspect of the cameras used and how to use them. The Troll: Thankfully, we see few of these here at PF. They are "flamed out" lickity-split most of the time......they know everything, surpassing all other shooters in their wealth of knowledge and skills. Yep, we know then well, no need to go more into it! The Joker: Here to have some fun. May or may not post some images and may or may not have some basic skills, but is always looking for a little fun. Sometimes irritating, sometimes a little relief that brings a smile....and always ready to jump in and get involved.....for the good or bad of it. The Lurker: Mostly in the shadows, only comes out occasionally and injects into a conversation. Usually posts few pictures, or if does so, does so without much if any comment. 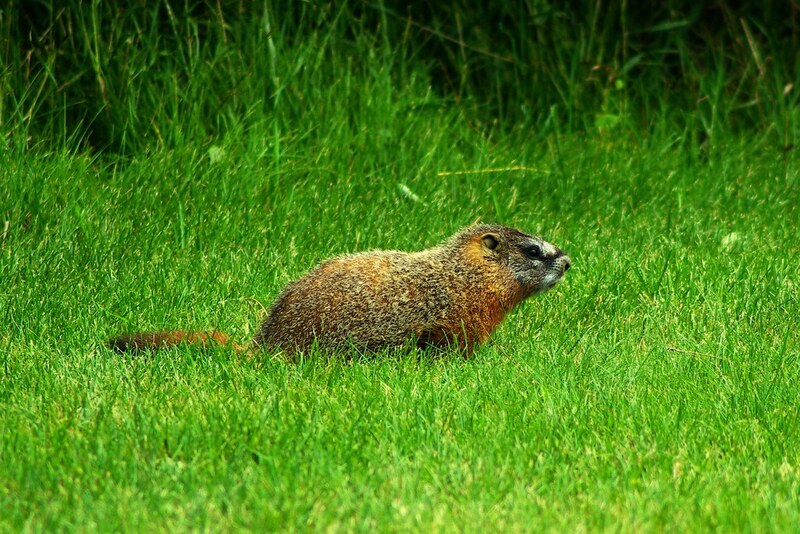 Sort of the Groundhogs of PF? There may be more types, feel free to add your thoughts. Keep in mind that ALL of these are a part of this wonderful site and regardless of our views or category, we are ALL a part of what makes the gears turn so well here. I would miss any one of these groups, they have equal importance in my PF browsing pleasure. I can get help, answers, view shots that are far beyond my capabilities and admire their abilities and/or gear. I can have fun and get a smile on my face with regularity.....heck, I can even see a naked girl every so often in one of the many, many Forums here....what more could you ask for? We have it ALL...and it is because of ALL those variations in personalities that make the puzzle fit perfectly. New to Pentax forum and often asks for help on subjects that have often been previously explained in many threads. Attracts the kinder members of the forums who do provide help. Sometimes attracts a comment from the Troll. Will learn how to search the forum threads with the correct search word or phrase and read the words of wisdom written therein. Will marvel at the science provided by the Technocrat. Will not necessarily understand aforesaid. Will marvel at the stunning images. Will eventually understand that getting such stunning images is not necessarily about having the best equipment...though it can help. Will spend more and more time reading the posts (getting comments from their partners about spending so much time looking at the screen....or looking at images the birds photographed in the garden). Last edited by Rupert; 03-11-2017 at 01:37 PM. Otis said you don't need to be a Lurker, you need to join in and have more fun! So...he just upgraded your account here to SITE SUPPORTER, with the accompanying benefits. Feel free to get out from under the ground and roam around, you will be appreciated for it! You might want to wear some dark shades for a while until you get used to the light! How about another category: Art Poster? Political Posters are torn down by moderators. I am famous for my wonderful artwork, but seldom do it because it just drains me completely... Not sure this is what you had in mind...is it? "Boy sneaks in....Cow sneaks out!" It is copyrighted, so don't try to steal it! Well, I can't compete with that! "Art Poster"? I was being The Joker – a play on words, as in a poster students hang on walls, or older people frame to remind themselves they were students, once. No, that is the kind of talent you are or aren't born with! I was just lucky! That is most excellent and I added it on the original post.....thanks, I completely overlooked it! You know, I do often wonder what new arrivals think about Otis and the damn squirrels? As many squirrels as there are here, it probably doesn't remain a mystery for long? Maybe another category would be Squirrel Haters: There are some, you know.....just why I don't know, but every so often I run across one. Maybe they have had "Close Encounters" of the "squirrel kind"...that could certainly explain it...I've had my share. ...not to mention the Advertising Poster. Or maybe the Post-posting Poster? I'd say I'm mainly The Joker and a bit of The Technocrat. fill in the blank. Silently, please! !